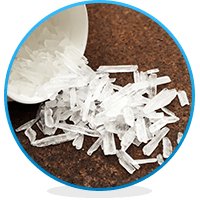 Methamphetamine withdrawal is a grueling process that can cause many life-threatening side effects since methamphetamine is one of the most dangerous drugs that are available to the public. In fact, one of the main reasons why Meth is so dangerous is its rapid addictive effect on the brain. In other words, it takes only one use for someone to become physically and mentally dependent on this drug. Methamphetamine triggers changes in the central nervous system (CNS) and brain. Additionally, as the user’s system continually absorbs Meth, it becomes reliant on the substance. As a result, the user is unable to function without it properly. If the user skips a dose or two, or quits, the body will feel the absence of the drug. This is called withdrawal. Methamphetamine withdrawal is basically the body’s readjusting without the drug it became dependent on. Moreover, symptoms vary for each individual. For example, some go through mild withdrawal symptoms, while others face excruciating pain as their system tries to readjust. In any case, Methamphetamine withdrawal symptoms are both physical and mental in nature. In fact, the intensity of the symptoms varies, depending on the amount and the duration of the drug intake. Furthermore, if a Meth addict used other drugs with Meth, withdrawal symptoms could be extreme. They don’t advise Meth withdrawal without proper medical treatment, because some symptoms may be life-threatening. Symptoms of Methamphetamine withdrawal start after the first or second day of quitting. Additionally, the process can last between four weeks and three months. Similarly, the duration mainly depends on the users’ history of Meth use like how heavily and frequently they used the substance. Methamphetamine withdrawal starts within the first two days after the last dose of Meth was taken. Moreover, the process can last from few weeks or can continue up to three months. Days 1-3: Between the first and third day, extreme fatigue may set in, and users might find it hard to stay awake. As a result, they will sleep more than usual. This is also accompanied by a mild case of depression. Days 4-10: During the period, the user may be tempted to revert to the drug, and has to refuse strong cravings to use again. During this time frame, mood swings, difficulty concentrating, and sleepless nights happens commonly. In addition, other severe symptoms include paranoia, hallucinations and extreme anxiety, headaches, and soreness. Days 11-30: Some of the physical symptoms may wear off between Day 11 and Day 30. However, the majority of users reported that they continue to experience insomnia, depression and unceasing cravings for Meth. Days 31-40: When addicts reach the one month mark, they usually start to feel better and function normally. However, depression and lack of motivation still linger on. Their Meth cravings usually fade away, but they may still face the temptation to start using again. Inpatient rehabs are the best possible solution for those who choose to undergo the withdrawal process. Because withdrawal symptoms are severe, they advise strongly that users shouldn’t do the process alone. At inpatient rehab centers, patients first go through the detox process. This is when Meth withdrawal symptoms start to appear. Therefore, as part of their treatment plan, the majority of centers provide medically assisted detox. For Meth addicts who can still function normally in their daily life, outpatient treatment is also an option. This also includes outpatient medical detox. Methamphetamine was a revolutionary discovery in 1893. They continued to use it until the very end of World War ll. However, after 1945, they discovered more and more side effects. As a result, they decided the addictive properties far outweigh its few benefits. Today, the medical community do not recognize Methamphetamine as a viable medicine. However, you can still get it illegally, online and on the streets. Unfortunately, even with all of the side effects, curiosity can cause some people to try it. Paradoxically, they will find that they cannot get rid of it as quickly as they perhaps thought. In conclusion, Methamphetamine withdrawal is an important yet grueling process. A Meth addict has to go through it in order to rid his/her system of the harmful substance. Moreover, it is a procedure that can last up to several months. Above all, it must take place in a medically supervised environment. As a result, they are able to prevent life-threatening situations such as respiratory failure, seizures, and coma.